Recently, I was trying to come up with a new dog cookie recipe for our farm store. For our Barking Dog Organic Farm 100% organic dog cookies, I like to use our own natural ingredients where I can, preferably ones I can grow right here on the farm. In the off season I have to find other suppliers, but at least we can always use our own fresh eggs year-round! That got me to thinking about “superfoods” as ingredients. I was once offered the opportunity to review some dog treats who used those as their basis. I thought that seemed like a good idea. As it turns out, not only can and do we grow some of those superfoods on our farm, we’re already using many in our recipes, and I am currently feeding a lot of these nutrient rich foods to Luke. There’s an easier way to add superfoods to your diet, Luke! Superfoods are highly nutritious foods that are packed with nutrients and antioxidants, and most are low in calories. They are a great way to provide extra health benefits to your dog, whether you feed them as treats, add them to their meals, or look for them on your dog food ingredients list. 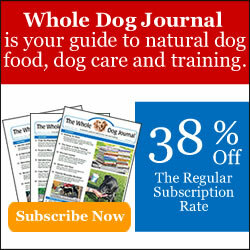 Everything on the superfoods for dogs lists provide the same benefits to humans as well! Each list I found had a few different things, so we decided to narrow it down to ingredients I either already use in our dog cookies, or that I am adding to Luke’s meals to give him that nutrient boost. We’re putting them in order of our favorites! Eggs. This one goes without saying for us, since we get our own laid fresh daily! Eggs give dogs a good protein boost, plus they contain vitamins and fatty acids that can benefit skin and coat. Luke gets a fresh, raw egg every other day on his breakfast. Cooked is just as good too! Personally, I would only feed them raw if they were farm fresh, not from the grocery store. Luke has also been known to steal eggs when he gets the chance! We have to make sure they are secured when we bring them in, or they might disappear. Bananas. These come in at #2 because they are such a favorite of Luke’s. He shares one with his Dadz every morning. Bananas contain fiber, amino acids, electrolytes, Vitamin C, and potassium. Super food indeed! Luke’s love of both bananas and blueberries led me to create this recipe. Blueberries. We have our own blueberry bushes, and that’s where I got the idea to make our Barkin’ Blueberry & Banana Dog Biscuits. These sweet berries contain fiber, antioxidants, and phytochemicals that can ward off cancer. Blueberries can help boost cognitive function in your dog as well. Pumpkin. Our first dog cookies for sale were pumpkin based, because we had grown and cooked our own right here on the farm. That’s my preference but when they’re not available fresh, we use organic pure pumpkin puree (there should be no other ingredients). Pumpkin is high in fiber, low in fat, and aids good digestion. Luke gets a spoonful on his breakfast every other day, and even our cat Samantha likes it! Apples. This fruit is widely available fresh in New England in the fall! Apple picking is an autumn tradition around here. Apples are high in fiber, antioxidants, and Vitamins A and C. Fresh, raw apple is great for cleaning your dogs’ teeth! Just be sure to remove the core and seeds, as too many seeds can be harmful. Our golden angel Sheba went apple picking with us as part of her “bucket list” when she had cancer. Coconut Oil. We use coconut oil in many of our dog treat recipes, it’s my oil of choice. Coconut oil can lead to a healthy, shiny, coat and aids brain function. Luke also gets a small spoonful of coconut oil on occasion – he loves it! He loves to lick the spoon after I’ve mixed it into our cookie dough. Carrots. Carrots are better digested when cooked, but I love to give Luke a raw carrot stick to munch on, it helps to clean his teeth. Carrots are high in Vitamin A, fiber, antioxidants, and that all-important beta-carotene that benefits eye health for all of us. Luke has also been known to help himself to our carrot crop if gets the chance! Here he eats the whole thing (he did leave the greens behind). Broccoli. Along with cabbage, this is one of Luke’s favorite vegetables that he’ll eat either raw or cooked. Broccoli contains lutein, potassium, fiber, and calcium. It aids eye, skin, and heart health, and it’s anti-inflammatory properties can benefit joints and fight cancer. I gave our golden retriever broccoli a lot when she was on her special cancer diet. I often steam broccoli to add to Luke’s fresh meals. Kale. I normally only feed kale when it’s in season, preferably from our own garden. Kale is high in Vitamins A, K, & C. It contains essential minerals like iron, calcium, antioxidants, and provides many of the same benefits as broccoli. Yogurt. Luke gets a spoonful of Greek yogurt (plain only!!) every other morning. It is high in protein, calcium, healthy fats, and probiotics. It can help with ear and skin infections. It does contain lactose, however, so if your dog is sensitive to that, be careful it doesn’t bother their digestion. No matter what you feed your dog, from kibble to fresh food, you can add these to their diet to help keep them active and healthy. As with anything, go slow when adding new foods to your dog’s diet, start with just a little bit, to be sure they agree with them and that none cause any digestive issues. Check with your veterinarian if there is anything you are unsure of, especially if your dog has any health concerns. Sometimes they’ll need to be mixed in with your dog’s food in order to get them to eat it. For example, Luke used to take blueberries from me by hand, but lately he hasn’t wanted them. But when I mix them in with his meal? Every single one is gone. But when I used to give them to our angel beagle Cricket, she would pick them out and put them on the floor! Then Luke would eat them. Cricket never was one for fruits and veggies, but if I mixed fruit with some yogurt and made frozen treats, she loved them! Luke is for the most part not a picky dog at all, but with some dogs you simply need to get more creative! Do you give your dogs any superfoods? Are they on our list? I had forgotten about so many of these foods. 🙁 Except for pumpkin, the dogs get a small spoonful of pumpkin with every meal. I’ve got to figure out how to incorporate some of these. Thanks for a great list! Great list of super foods! Reading this I realized my dog eats a lot of superfoods. She has tried everything but broccoli, kale, and yogurt. I’m curious if she will eat broccoli or kale. The only food I have found she doesn’t like is celery. She spit it out and left it on the floor 🙂 and that is saying a lot cause she eats everything. I eat broccoli a lot but never thought to have her try it. I’m going to test it out next week. Let us know how Lenni lies the broccoli! I even gave Luke a piece of frozen broccoli the other day and he loved it! He passed on celery as well. I’ve also heard dogs like cucumbers, but he didn’t go for that either. Wow I had no idea about super foods. Thanks for explaining. Poor Pierre….Luke is so happy he can eat anything and everything (knock wood). Boiled chicken is a darn good treat though!! Luke is a lucky dog. We get a bumnch of your super foods…well, with the exception of anything green ;-). Pumpkin and apples are our favorites! I am with you on all of these and this was a fabulous list!!! Dakota has pretty much had all of these except yogurt I think. But…one thing……….I have read apple seeds are actually more than harmful, they are DEADLY (the cores too)……..I read they have cyanide in them. Yes, I have read that as well. But the truth is before I knew better some of our dogs did eat whole apples and had no issues. I imagine it’s a quantity/size thing, and the one apple to a big dog was not a problem. However, it is always best to err on the side of caution as far as I’m concerned! I have had everything but kale. Mom needs to get over herself and give it a try! I want eggs for breakfast every morning too – sunnyside up please, mom! I have a couple of excellent recipes using kale (one of them uses eggs and fresh tomatoes too). I’m happy to share them with your Mom if you want! Maybe I’ll post them up here too….making a note. You have your own blueberry bushes!?!?!? That would be a dream come true for me. I also give each dog a spoonful of yogurt each day when I make my lunch. They adore it! I can’t get over how much Luke loves plain yogurt!! This last year was the first one that we got a decent crop from our blueberry bushes (we had to protect them from our own birds!). I’d like to put in even more, I’m going to have to see if the hubby will help with that project this year. Yes these are both great for our four legged family members and our two legged ones too. Now that Ducky is eating fresh food – either from The Farmer’s Dog or home-cooked – I have found that the spoonfuls of ice cream that hubby sneaks her don’t upset her system any more. (Shadow was having far fewer gastro issues, too, until she started to decline.) With the TFD food being so expensive, I had to switch to home cooked; but I splurge on the treats. Ducky LOVES the treats you make. And the pumpkin-oatmeal-peanut butter ones don’t upset her GI tract at all. I don’t know if we get a lot of super foods or not but some of us think most of our food is super! we like a lot of that superfoods… special pumpkin or yogurt… but bananas are not our favourite things… maybe we fear to go bananas like our staff? We get a lot of eggs, some yogurt, Bailie likes bananas, other things are random. Mom doesn’t like Kale, so we never have that around but we are not big on veggies so that is alright. They have to be cooked and mixed into our food to be eaten. Blueberries are weird. We sometimes love them, and sometimes don’t too.